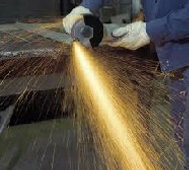 HL Training Services offers ITSSAR accredited abrasive wheels training. 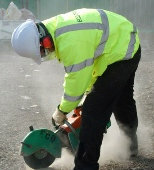 Training takes place either in our centre or on site. Novice Abrasive Wheels Training – this course is suitable for up to six candidates in one day. Refresher training – this course is suitable for up to six candidates in one day. This course covers HSE regulations, employer and employee responsibilities, PUWER, and safe working practices. Call for a competitive quotation. Our quotes are based on the number of trainees per course.